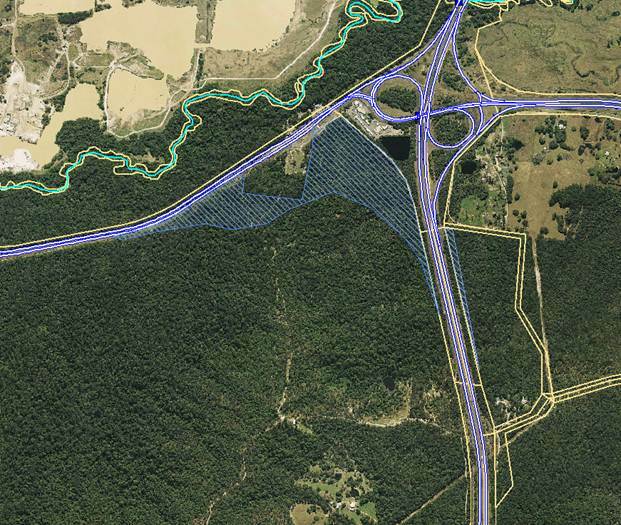 Is located on the south-eastern site of Ewen Maddock Dam and forms four islands of vegetation divided by the Steve Irwin Way and Bruce Highway with a total area of approximately 880 hectares (ha). This is the only sizable stand of native forest in the Beerwah State Forest as the remaining 4500ha is made up of pine plantation. 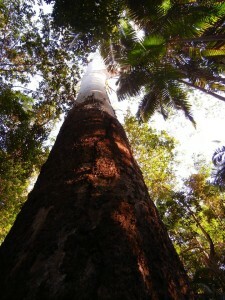 Studies describe the significant conservation values of the Mooloolah Logging Area with assessments concluding the site has ‘extremely high conservation values’ and notes the estate was recognised for its conservation values and was in the process of conversion to conservation reserve under the SEQ Regional Forestry Agreement (SEQRFA). Marked below, is the 24ha currently the subject of an application by Main Roads to the Department of Environment & Heritage Protection (under Queensland Parks & Wildlife management) to revoke this portion from State Forest to faciliate the preferred preliminary reference design of the Bruce Hwy upgrade project (Caloundra Rd interchange to Sunshine Mwy) .